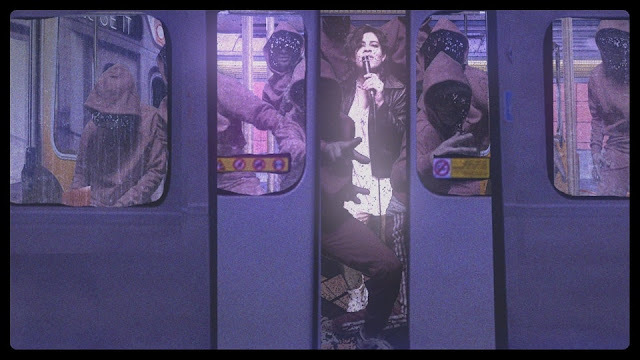 Toronto-based indie-rocker Danielle Duval has just unveiled the official music video for her latest singles Lose It & Subway Wall. The video was directed by Christopher Mills (Modest Mouse, Interpol, Broken Social Scene, Metric) and takes the unorthodox approach to combine both songs on the video. On Lose It we see Danielle getting lost in the subway while self-contemplating a lost opportunity for love. Danielle splits into ghosts of herself, dancing, performing, materializing and re-materializing as the world around her gyrates, and shifts to the rhythm of the track(s). The clip makes a seamless segue into Subway Wall – a more serious and contemplative portrait of Ms. Duval, which gyrates in glitchy, stutter pixel-crushed counter-rhythms. Watch it below. The songs are both off Danielle's new full length, Lose It. The album features 10 melodic indie-rock tracks that are juxtaposed with the sounds, textures and addictive drive of electro-synth-pop music, with lyrics that cut straight to the heart. It simultaneously maintains Duval’s unique edge as a songwriter as it explores and incorporates the vast, dynamic layers, pulse, fast tempos, and catchy energy that new wave music provided in the late 70s to late 80s.